So what is the latest From Royal Master Grinders? In April I was in China for a IMTS style show. Its IMTS of China and it is called appropriately the China International Manufacturing Technology Show. This is the 4th time I have exhibited there since 1997. Every two years I have to say China has changed and continues to change, but there are a few things that always amaze me. 3. The Chinese people are friendly and Love American Machine tools. The thinking that they want to copy our equipment is a thought that enters into your mind, however Royal Master has had great success selling our equipment and filling niches that other domestically Chinese made products could not fill. One of the most interesting items is that we enter the hall during set-up the security guards were barking at me. Since I have no idea what they were saying, I not so politely walked right by them. Luckly no one followed me nor did I get locked up. 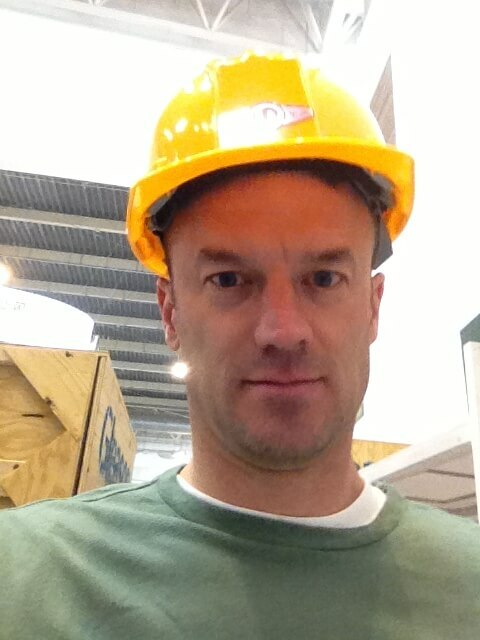 However I found out later that I needed to purchase a hardhat for protection.